I began by stamping all of the images from Winter Botanicals with Versamark onto Bristol Smooth paper and heat embossing them with WOW Metalline Himalayan Musk and Metalline Kiwi Krush embossing powders. 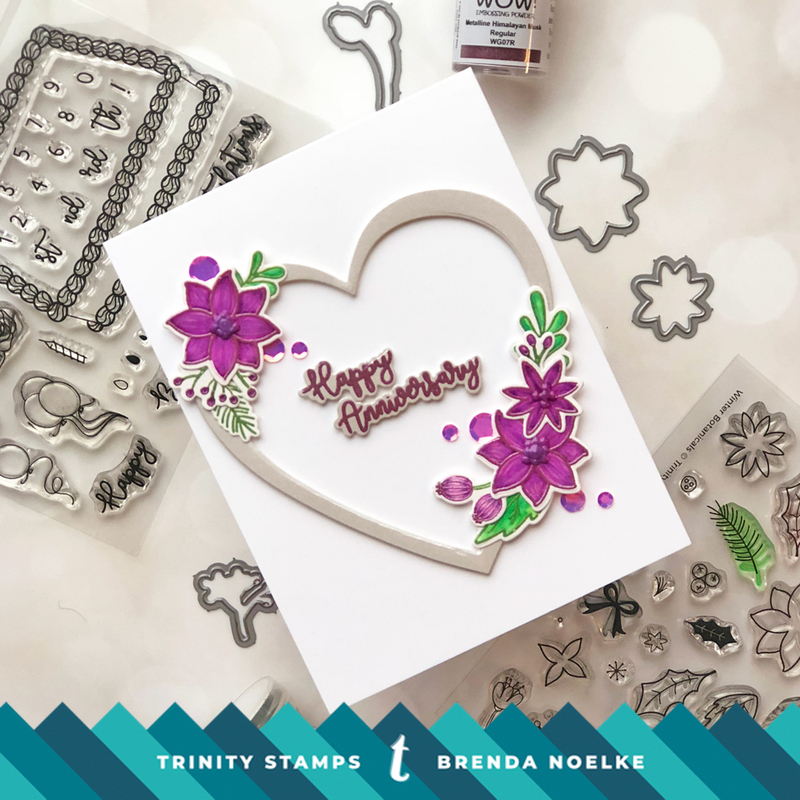 On the images that contained both florals or buds and foliage, I used an embossing pen to simply apply the ink to the areas that I wanted to emboss before applying the powder. I colored all the images with Tombow markers and then added accents with colored pencils. Just be careful not to scrape off the embossing with your sharp pencils. The images were all cut with the Winter Botanicals Coordinating Dies. 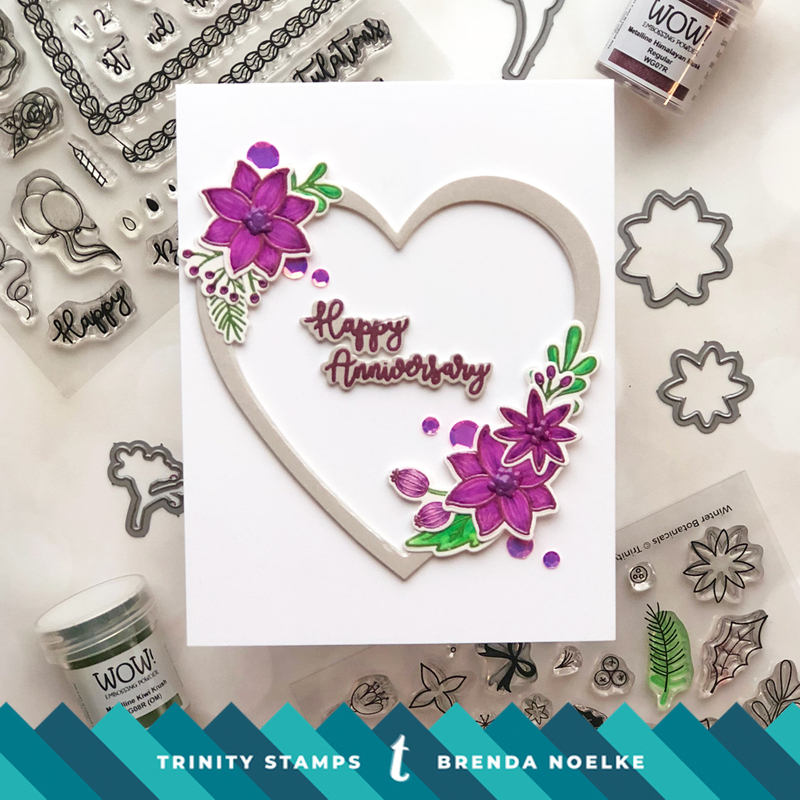 The heart die-cut was created by taping two heart dies together and cutting from a pearlescent cardstock. The sentiment, from Decorate-A-Cake, was heat embossed with Metalline Himalayan Musk onto the pearlescent paper and cut out with the Coordinating Dies. 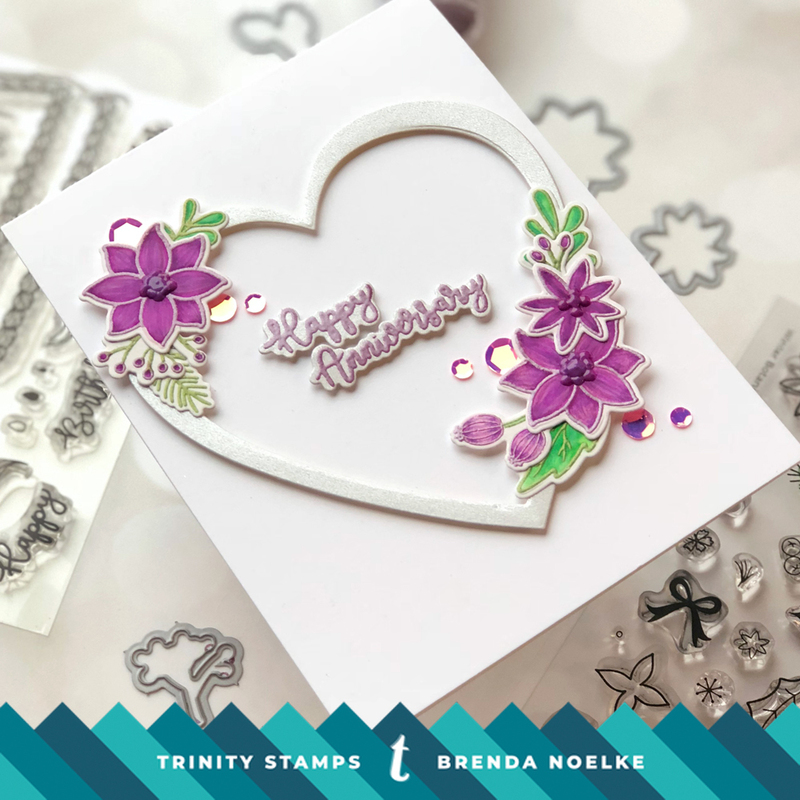 The floral elements were adhered to the heart, then foam adhesive was applied to the back and adhered to the white cardbase. The die-cut sentiment was also popped up with foam adhesive. I added some Crushed Grape Crystal Nuvo Drops to the centers of the flowers and a few Soapy Bubbles Confetti Mix sequins to finish things off. That’s it for me today!! Thanks for hanging out with me for a bit!! I’ll see you next Thursday!! !